user manual – raoul pictor & co.
For the best experience you should allow the app to "Access to your Photos" and "Localisation"
– Styles: access to the current painting styles. Here you can browse and choose the various styles manually. After selecting a style, Raoul will continuously paint the style you choose, if you want let him paint freely, choose the “Standard native set session”. New styles are available from time to time. Click “Sync styles” to get the most recent styles. 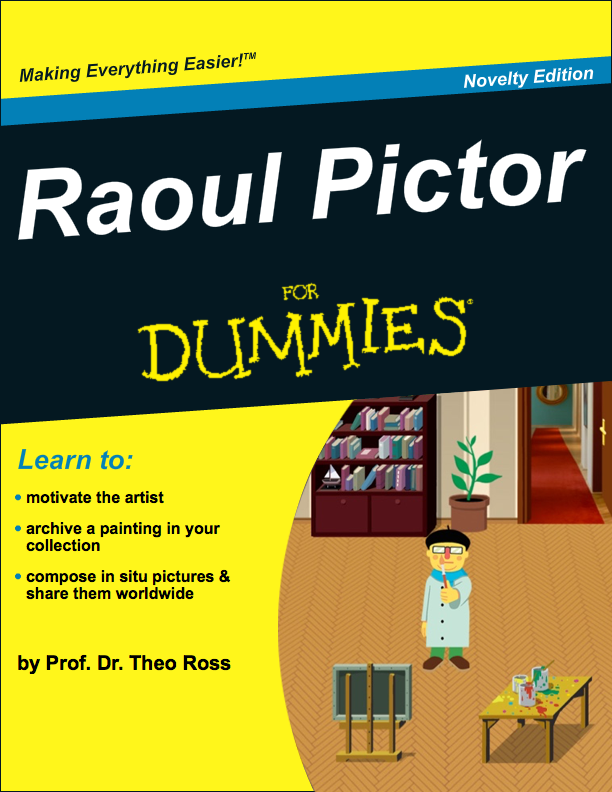 You can also follow Raoul on Twitter (raoulpictor) or Facebook to get the latest news. 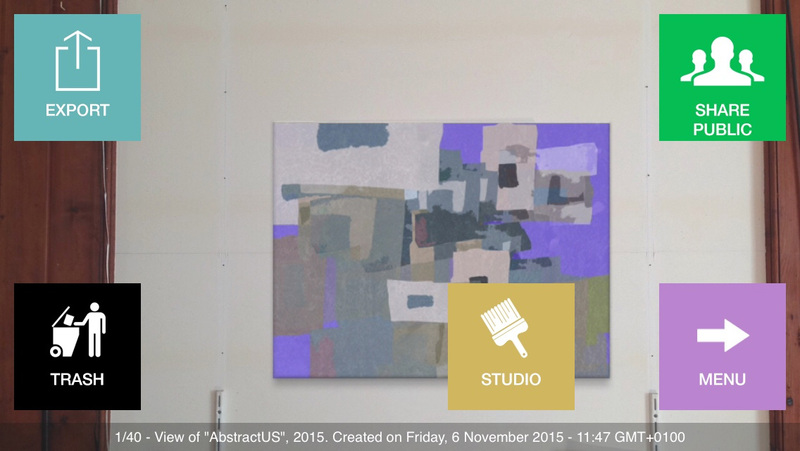 – Painting collection: access to the collection of paintings you saved. 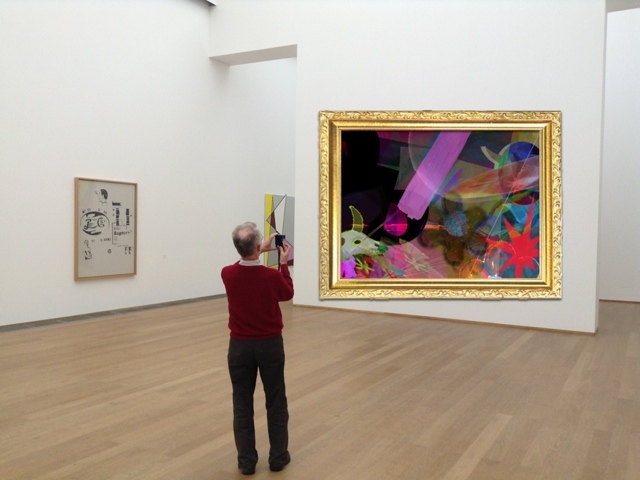 – AR CAM (augmented reality camera): direct access from the main menu screen to the Augmented Reality Camera (AR Cam) to take an in situ picture with a painting of your personal collection. Note: This function works only if you have saved some paintings in your personal collection. 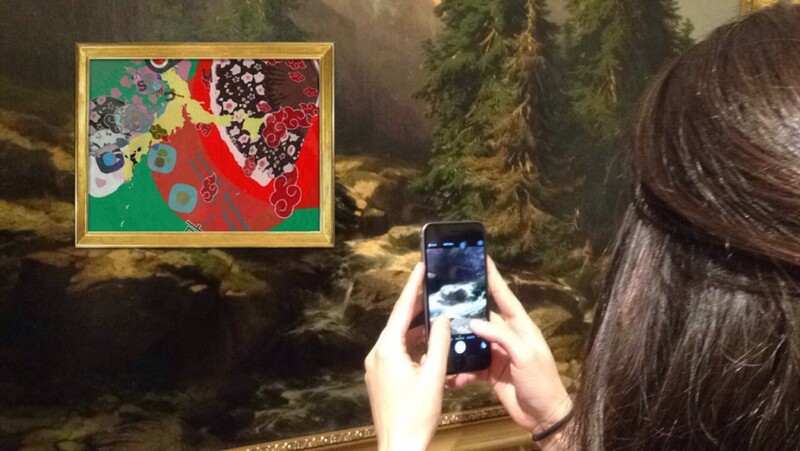 – AR collection: access to the collection of Augmented Reality pictures you saved. – Info: A summary of the app and short history of the project. 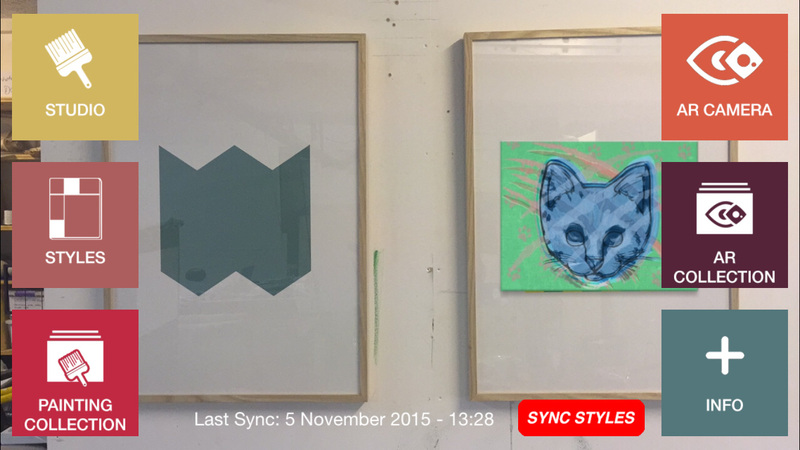 – Sync Styles: click here from time to time to get the most recent styles on your device. – Menu: click this button to leave the studio and return to the main menu. – Styles & models: Same function as in main Menu. Browse and choose style manually. Note: The red line on the bottom of the screen indicates the progress of the painting session. A painting session lasts approximatively 20 secs. – On Kawara’s painting: Click the painting to access a fullscreen clock (HH:MM:SS). – Computer: Click the computer to access various system information. – Window, light bulb, wall switch: Switches the light On or Off. Note: light is automatic, ON at night and OFF in the morning. – Bed: Click to clean the bed. – Painting on the right side of the wall : Leads to the Raoul Pictor’s personal art Collection. You will get informations on the different works and be able to choose the one you want to see in the studio by touching it. Note: to access the buttons while in the painting view, simply click on it. Disposition of the buttons may vary depending your device model, iPhone or iPad… If you don’t click on the image, the exhibition view or a return to the studio will automatically follow the painting view… Pinch the painting to zoom, if you want see it closer. – A) Save the composition if you like it, it will be stored in your personal collection… remember that each composition is unique and that styles may change in time. The personal collection can hold a maximum of 40 paintings! Note: you can change the frame of the painting (framed painting view only) by shaking your phone (for iPad depends of version or iOS). 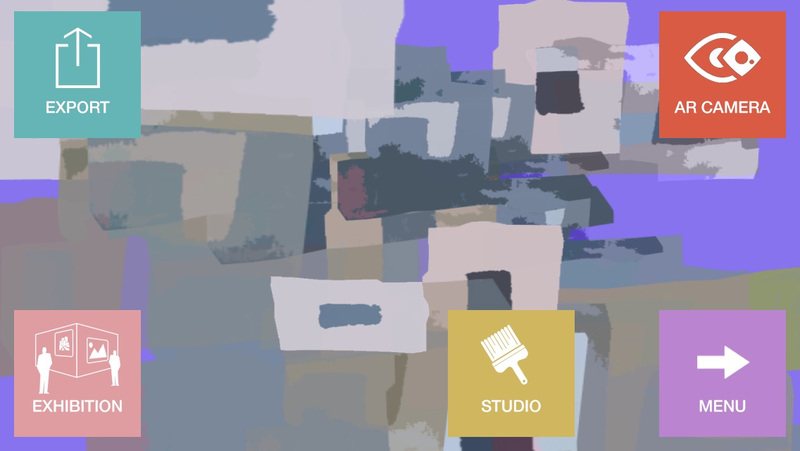 Exit the exhibition scene: Don’t try to click on all the spectators endlessly, you can simply wait until the end of the scene or touch the painting in order to have it fullscreen, then click on it again to access all the buttons, click studio or any other button. 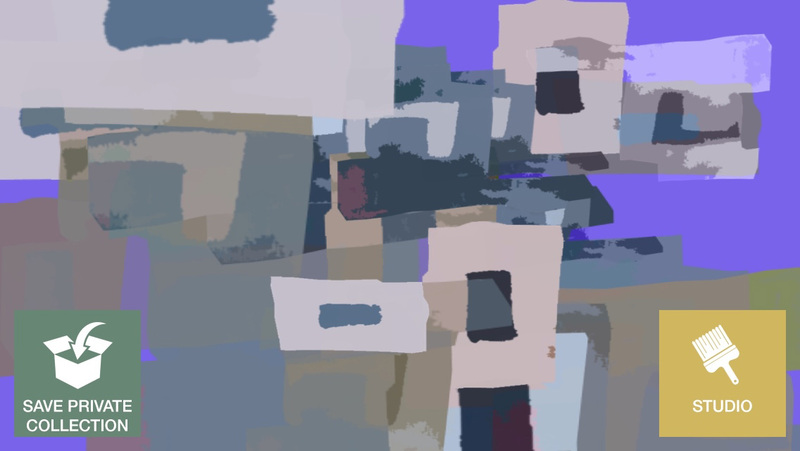 This feature is available only if you have saved a painting composition. 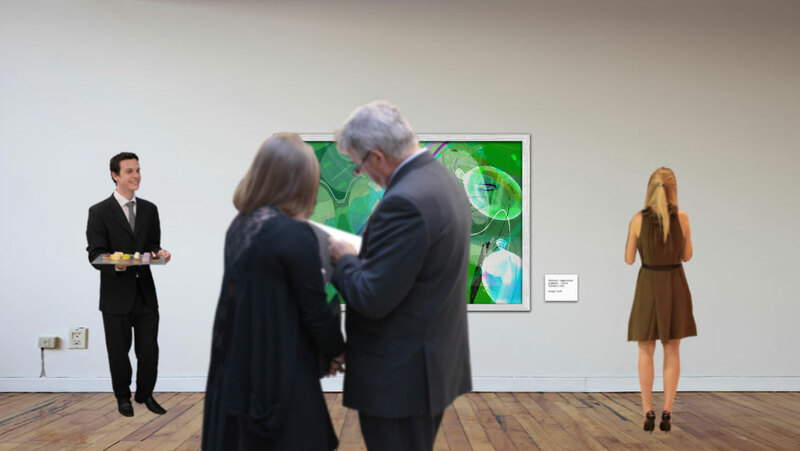 The AR view let’s you “hang” virtually the paintings wherever you want: white walls, buildings, galleries, museums… You can play an exhibition at home with friends or organise an exhibition event for a day. Images you make can be easily shared on a public collection on flickr projet account. Note that you don’t need a personal account to share your pictures! Geo localisation let’s you see on the map where events took place. 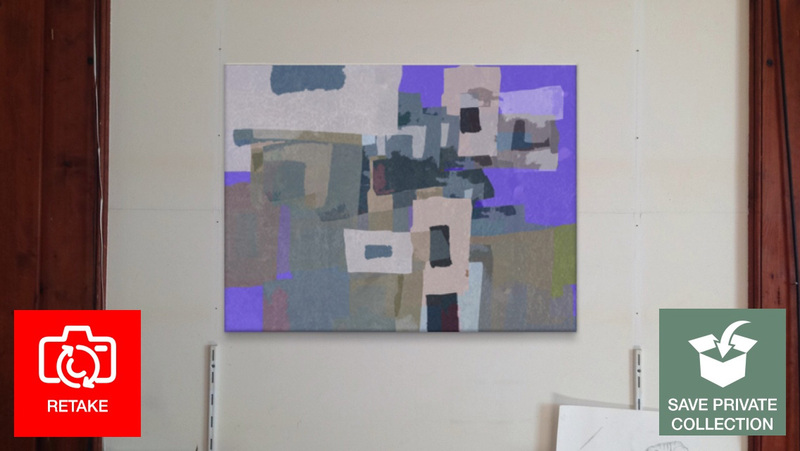 —> Pinch the painting to enlarge or reduce it, drag to place it. Once the picture is taken you can save it with the “Save private collection” button in order to store it in your “in situ personal collection”! Your AR collection can hold a maximum of 40 pictures within the app. “Retake” take a new snapshot if your image is not satisfying! – Share Public This button lets you share your compositions publicly (recommended), those will be stored in the main archive and placed on the map (if you accepted the app localisation). Note that sharing your compositions is anonymous. To see the public archive from the app go to Menu click the Info button and the online AR gallery button. Sharing your best pictures is your active contribution to the project. Share pictures and show your creativity, share your instant exhibition, performances, Flash mobs, museum hacks…, this is the dedicated place! Note: This feature is available only if you have saved a composition. In this view you will be able to order an original oil on canvas painting of any size of the selected composition. Just follow the instructions.